San Francisco Design Week (SFDW) is the largest design festival in the Bay Area which spans Silicon Valley, the city of San Francisco, East Bay, Marin and beyond. Each year the festival brings together over 50,000 designers, trade professionals, non-profits, entrepreneurs and business leaders for a week-long series of events, lectures, panel discussions, and studio visits. 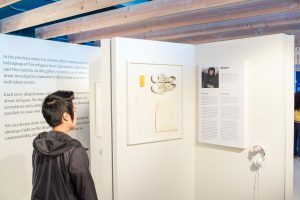 The week kicks off at the Design Hub at Pier 27 which features an opening night reception, exclusive programming, and interactive exhibits and product displays. What are the dates of San Francisco Design Week 2019? What is the goal of SFDW? Our goal is to raise public awareness of the impact that design has on innovation and explore the emerging disciplines driving design in San Francisco and around the world. Each year we create a public forum where citizens and designers can engage in a discussion about design and its role in our ever-evolving world. SFDW is organized by AIGA San Francisco, the professional association for design in partnership with IDSA, the Center for Architecture and AIA, SFFAMA, SEGD, SDN, IXDA, local consulates, design universities, neighborhood associations and museums. SFDW has grown to represent a diverse and vibrant industry across many design disciplines. Each year the list of participants grows to include design studios, in-house design teams, galleries and art organizations, local retail and restaurants. What type of events take place? The annual festival program contains over 225 events including workshops, exhibitions, panels, Studio Crawls and open studios. The Design Hub at Pier 27 that features two days of exclusive programming as well as the opening night reception. I’m not a designer, but I want to involve my business or organization. Is there a way for me to do that? ABSOLUTELY! Consider submitting your business or organizations to our Design Map , or host an event that engages the design community. We have three different ways for you to host an event and to create your own original programming. What is the deadline to apply to host? This is a great way to ease into the process of hosting a SFDW event, and morning and early afternoons are underutilized during the week. You determine the location of the meetup which can be a coffee shop, public space or co-working venue — be creative! This is also the most intimate format as it can include one-on-one meetups or small groups. We recommend capping participants at 12-15. The organized Studio Crawl is a fan favorite and we devote two entire evenings to it during SFDW. Participating studios are selected by SFDW advisors based on what they think will make the best experience for attendees. Hosting an event is an opportunity for you to create your own original programming which can include, but is not limited to, a workshop, panel discussion, or a speaker. The most well-attended events tend to engage a topic that provides valuable takeaways or includes well-known speakers. What’s the difference between the Open Studios and the organized Studio Crawl? Open Studios are independent events hosted on any day during SFDW and typically include a look inside the studio and special programming. The Studio Crawl is a concentrated group of studios—curated by our committee—who open their doors on the same evening. Attendees go from place to place at their leisure and see as many as possible! What is the Design Hub? The hub is a concentrated, two-day feature of curated events that reflect the year’s theme, as well as an exhibit experience. It is the largest gathering at one time during the entire week with over 10,000 attendees. We’ll gather together for the opening night on June 20th, before we disperse across the city to connect and celebrate. The attendees are a broad mix of people from creative, business, technology, media, education, and design-aware communities, and the general public from the Bay Area, national and international. Is the exhibitor floor open to the public? The exhibitor floor is open to the public and free during the day on June 20th and 21st. The opening night reception on the evening of June 20th is a ticketed event and the scheduled programming during the day on June 20th and 21st is also ticketed. Who are some of your past exhibitors? Past exhibitors have included Airbnb, Casa Castiglioni from Milan, Italy, Heavy Projects, StubHub, Salesforce UX, Galanter & Jones, Groupon, LOCZIdesign, California College of the Art & SJSU. Does my exhibit need to align with the 2019 theme? Not necessarily, but it is encouraged! Will there be press at the event? What is the exhibitor space like and what comes with each space? All exhibitor spaces are island configurations. There are no shared walls. Each space comes with two chairs, a black linen cloth and 500/watts of power. If you need additional wattage there is an additional fees for the wattage, along with potential union fees. Please note that the generator will be set up in the first few hours of load-in so power may not be available right away. There is no lighting included in the exhibitor space other than the venue’s overhead fluorescent lighting. Additional lighting can be rented through Impact Lighting. If you are bringing in your own lighting, please order the appropriate wattage and let us know. Electrical installations must be handled by Impact Lighting. Do I need exhibitor insurance? What are security measures in place at Pier 27? Should we assume that it’s similar to other Design Week Fairs, in terms of materials to prepare for the event? E.g. Flyer, signage, biz card, iPad/laptop to show our products, etc. It’s less of a trade show vibe and more of an interactive, community event. Attendees love swag. Will there be photography at this event? Yes, we will have volunteer photographers at the event. If you wish to get specific shots of your space we recommend bringing in your own photographer. Load in is on June 19th from 8:00 am – 8:00 pm. Please schedule your load-in time with us as we can only have a few trucks loading in at a time. All exhibitors must be finished with their install by 8:00 pm on June 19th. No exceptions. Strike will begin at 5:00 pm on June 21st. Everything must be cleared out by midnight. Due to venue policy, nothing can be left in the space after midnight or it will be disposed of and you will be charged a fee based on the number of items left. What time do I need to be in my space? It’s best to be at your space for the duration of the opening night party June 20th from 6:00 pm to 9:30 pm, and during peak hours on June 21st, 10:00 am – 4:00 pm. Do you provide booth signage? No. Most companies prefer to display their own signage to reflect their brand. You are welcome to bring your own signage from small printed posters to step and repeats as long it fits within the specs of your space. When will I receive my exhibit location? Exhibit locations will be sent the week before. You will be able to pick up your location information during check-in. The 2019 San Francisco Design Map showcases retail & restaurants, exhibitions & installations, and public art that prove that San Francisco is one of the world’s preeminent design-driven cities. Submit to be listed on this year’s map and help us create a city-wide experience for the over 50,000+ attendees eager to interact with the city through the world-class design that can be found in coffee shops to sidewalk murals. Non-profits, exhibitions, public art submit for free! If you’re an artist, designer or an organization who wants to engage with SFDW this year there are opportunities to do so through art installations, window displays, or public projects. Installations can be specific to SFDW, or works that already exist that you believe will interest the design community. If you’re a coffee shop, restaurant, bar, or retail shop, this is a great way to engage with SFDW and attract new people to your location. Each year thousands of people attend SFDW and we want to direct them to the very best that the city has to offer. Consider showcasing something design related on your menu, in your window or team up with a local designer to draw people in. What’s the difference between the event calendar and the official SFDW Design Map? The event calendar is an online listing that includes all the ticketed events taking place throughout the week. Anyone who applies as a host and is approved will automatically be included on the event calendar. The printed SFDW Design Map is a curated selection of retail, food, sites and ongoing exhibitions such as museums shows and public art installations. What is the deadline for Early Bird pricing? Saturday, June 22nd – Thursday, June 27th. June 20th, 21st, and 28th are blackout dates and we do not accept events on those dates. Can I apply to host more than one event? Absolutely! Think carefully in regards to how much extra time and resources will be needed to produce an event and whether you’re shooting for quality over quantity. Fees are discounted for those who host more than one event. Please submit a new application for each event you plan to host. If you plan to host multiple events, please contact us at info@sfdesignweek.org before applying. What information do I need to start my application? What if I still have details to work out before finishing the application by the application deadline? The April 1st deadline is crucial to giving our team enough time to finalize event details with hosts, create event ticketing pages and properly promote events, as well as give attendees enough time to sign up and plan their week. If you’re struggling to finalize your event, email us as soon as possible at info@sfdesignweek.org. I have a very specific preferred date & time, but I haven’t finalized my event details. Should I submit an application anyway? Partially submitted events will not be accepted. Please only submit complete events. Events with a clear, direct focus tend to be the most successful as attendees can immediately tell what they are on the event calendar. Long titles will get cut off on the SFDW site, so avoid being too descriptive. Like your event title, your event description should make it clear what attendees will expereince at your event, and what they’ll get out of attending. Don’t Bury the Lead and make sure attendees know what your event is about in short 2 sentences. Keep it simple. No text and no logos, and we really mean it. If your event topic is interior design, use an image of a great interior. If your event is a bit more abstract, simple colors and patterns can work really well. Remember, SFDW is for designers, so a strong, well-designed image is important. Each year SFDW is made up of hundreds of events throughout the week. We do our best to give event hosts their preffered date and time, but sometimes we have to make adjustments basd on the overall curation of the week. If you’re worried about competing with a ton of events, than consider avoiding Wednesday and Thursday evening. You can also host an event earlier in the evening so that attendees can attend multiple events by stacking them. For example, if you host an event at 4:30 pm and end at 6 pm, attendees can make it to events that begin at 6:30 pm and 7 pm. Mornings are underutilized and a great way to stand out from the evening events, and can be as simple as hosting coffee with your design team. We also welcome more structured events earlier in the day such as workshops and lectures. We recommend that you submit a few dates and times so that we can make sure you’re event isn’t scheduled against another event of a similar nature. Ultimately, we’ll always try to give you your top choice. We recommend creating a sample schedule to determine the length of your event. For example, if you’re holding a panel discussion, consider both the check-in process, as well as discussion afterward and factor both into the total length of time of your event. If you want to go the extra mile, include the schedule in your event description. If you want to charge less for students, or have ticketing tiers, just include that information in the “Ticket Details” section and we’ll be sure to set that up when we create your event listing. You can also include information about your venue in this section. For example, if attendees will need to sign an NDA, include that in your ticket details so that we’ll know that is something we will need to work with you on. Can I apply to host an event if my venue isn’t confirmed yet? We ask that you only apply once your venue has been confirmed. If you are struggling to find a venue, please contact us at info@sfdesignweek.org. What if I can provide a venue, but I don’t plan to host an event? If you are offering your venue as a resource, please reach out to us at info@sfdesignweek.org. The events team can make the introduction if a host has an event, but no venue. SFDW is not responsible for negotiating terms between a potential host and a venue. We highly recommend charging a minimum of $10 for your event as it helps cut down on the number of no-shows. Priced events have an average of 25% no-shows, while non-priced events have an average of 50% or more. Please indicate the actual number of tickets you would like to sell as we’ll use that number to determine how many tickets should be made available. If you like, we can set aside a number of “hidden” tickets for VIP and press. If you would like to donate your ticket sales to SFDW, a 501 (c)(3) non-profit, simply check the box on the application. Hosts collecting ticket revenue can determine whether or not they want SFDW to send them a check after their event is over, or have payouts go directly to them via Eventbrite. This year we’re selecting 15 studios per night of the crawl, for a total of 30 overall. Chosen studios will be assigned a night based on which neighborhood they are located in. For example, if you’re studio is in the Dogpatch, you’ll be assigned the same evening as all studios in that neighborhood. No exceptions as it detracts from the “crawl” experience. Only studios within San Francisco will be considered. If you’re studio is elsewhere, such as Oakland, you can still host an open studio [link to open studio section below] as a hosted event, however, you will not be able to participate in the organized Studio Crawl. What is the deadline to apply to the Studio Crawl? What are the dates of the 2019 Studio Crawls? Friday, June 22nd, 2019 and Friday, June 28, 2019. How many volunteers can I expect to help with my Studio Crawl? For the Studio Crawl, our goal is to provide at least one volunteer or contractor to manage check-in for your event. You are responsible for having staff or your own volunteers manage other aspects of your studio crawl. Who keeps the ticket sales? Studio Crawls are a fundraiser for SFDW and we keep the ticket sales. How are the studio crawl routes planned and organized? We plan the Studio Crawl based on the locations of the majority of participating studios. Studios located in the same area will be assigned the same date. What if my studio is located outside of San Francisco, or in an area without other participating studios? If your studio is located outside San Francisco (East Bay, North Bay, South Bay) or in an area where there might not be many studios participating, you are not eligible to participate in the Studio Crawl and we would advise that your studio participate in an alternative design event. How do attendees get around between studios? We do our best to organize each Studio Crawl around neighborhoods that are accessible by public transportation, as well as by foot and by bike. Attendees will be moving from studio to studio so keep in mind that attendees will be coming and going throughout the evening. SFDW does not supply transportation. How will visitors find our studio? Studio Crawl maps will be published a few weeks before SFDW starts, and are available on the website for download. Each Studio will be provided with a SFDW poster to alert attendees that they’ve arrived at a Studio Crawl location. We encourage you to find innovative ways to let people know where you are. Why do I have to pay a fee and what does it cover? As a a 501(c)(3) nonprofit, we rely on registration fees, sponsorship, donations and the goodness of others to produce SFDW. The fees allow us to hire an administrative team, PR, and additional support as needed. Thank you for your support! I want to support SFDW as an official Sponsor. How do I do that? If you’re interested in being an official sponsor of SFDW, please fill out the sponsorship form and we will reach out with more details soon! To encourage timely registration, those who register early will receive a discounted fee, so make sure to register early! Preferred dates and time are awarded to applicants who submit complete applications on a first-come, first-served basis. However, we reserve the right to schedule events in order to avoid overlapping events with similar or competing topics. Our overall strategy is to spread out topics throughout the week in order to create a rich experience for our attendees. For example, if multiple UX events are scheduled on a specific night, we may spread them across several days so that interested attendees can go to all of them, rather than have to choose one. I represent a non-profit, do I still have to pay a fee? Registration fees are waived for registered non-profit organizations. If you represent a non-profit, please use the Non-Profit Event Registration Form. I don’t represent a non-profit, but I can’t afford the registration fee. Can I still participate? We want everyone to be able to participate in SFDW regardless of their economic footing. Thanks to our sponsors, we have a few spots reserved for those experiencing financial hardship, please fill out this application. Application fees are non-refundable once an application is accepted. If your application is not accepted, 100% of your fee will be refunded. We understand that some changes to your event are out of your control, however, changes to an event that has already been submitted will incur an editing fee, starting at $50 and additional charges for major edits. SFDW handles ticketing for you through Eventbrite so that the ticketing process is consistent and streamlined. Our team will set up an Eventbrite page for each host under the SFDW umbrella to make it easier for attendees to register, however, each host is given full access to their event registrations, attendee information and financial data for tickets sold. You keep 100% of your ticket sales, minus the Eventbrite fees. Don’t need the cash? Some hosts donate their ticket revenue back to SFDW or donate it to a charity of their choice. If you would like to do so, simply “yes” box in the application when prompted. How can I be sure that I will have attendees? Each year SFDW events tend to sell out quickly. Once your event is live, share the event to your network and with your organization. You can monitor your ticket sales through your Eventbrite page. We will add tickets to your listing to “oversell” in order to make sure that seats are filled. When filling out the host application, include your target amount of attendees. We will calculate available tickets based on historical no-show rates. I want lots of people to come, should I make my event free? It may seem counter-intuitive, but free events tend to struggle the most in regards to attendance. Attendees get excited about events and register for the free events for free of missing out, but then flake. We highly recommend charging for your event to ensure a healthy turnout. Remeber, you can donate your ticket revenue to SFDW or a charity of your choice! What can I do to promote my event? Promote your SFDW presence in advance via social media. Tweet about the date of your event as soon as this information is available. Make a post about your SFDW week participation in your blog or on your Facebook page. Create an Instagram competition with free giveaways to increase the number of followers. Send out an email blast and invite your studio’s friends to join or spread awareness. Do you cover the costs of event production, including supplies, food, drinks, and snacks? If providing such items is a financial burden, we encourage you to find donations from your clients, partners or sponsors whenever possible. You keep 100% of your event ticket sales, minus Eventbrite fees, so price your tickets according to cover your expenses. Does SFDW provide volunteers for my event? You will be responsible for finding your own volunteers unless you’re participating in the organized Studio Crawl event. Read through all the FAQs but still have questions?